David Moffatt Debt Relief Specialist at 4 Pillars Debt Specialist in Halifax sits down to talk about his investing portfolio. 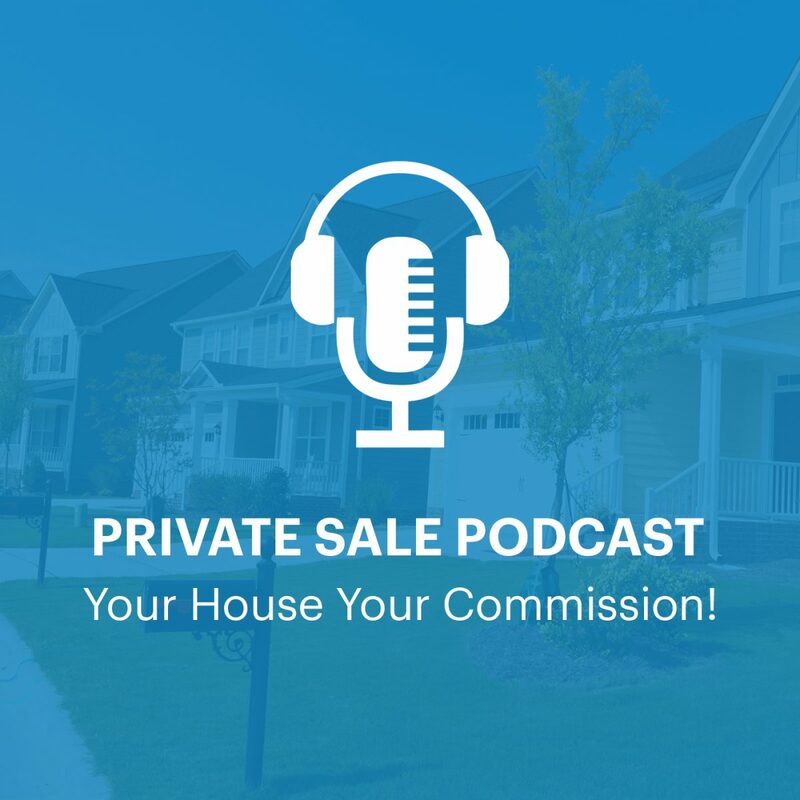 00:00 You’re listening to the private sale podcast, your house, your commission. Hey everyone. How’s it going? We got a really cool episode here today all about investing. So I’m talking to David Moffatt who owns four pillars consulting here in Atlantic Canada. Just a great background in investing. He’s a young guy, so we’re going to break down what he’s looking for, the types of investments he’s got and different types of things going on with his portfolio. Always cool to get different perspectives from people and we have a pretty unique conversation. So if you’re into investing and looking for some cash flow properties, you’re gonna want to listen to this one. So let’s get to it. 00:45 You’re listening to the private interview top industry members to keeping you informed and prepared for the unexpected is for you to have a successful private sale. 01:01 David, thanks for coming on and sharing your investing story. Not a problem. Glad to be here. Alright, so yeah, let’s get into your background. So what is it? You do four pillars obviously. So let’s get into some of that. We’ll get into more of that later. But just go over like your current life, what you got going on and then we’ll jump into how you got into investing and everything like that. Yeah, for sure. So I’m working currently with four pillars consulting group. I’m kind of the franchise owner for all the Nova Scotia. Territory’s. Um, my background. I spent seven years in the forces and the Amish and explosives world before this and uh, and then 2015 I left and started four pillars here and now I’ve got some commercial spaces, merchants or is that a residential spaces? And um, I am doing, doing all right, having a good time at it. 01:48 You have commercial space and residential space as well as the four pillars business, correct? That is correct. Okay. Yes. Yeah. So what got you into real estate investing? I know that a lot of talks boat is in the past, but yeah, that’s a, that’s an interesting question because I think when we first met as you’re a young guy. Yes, 28 slash 29 slash 27 slash 28. Uh, so I think when we first met and we’ve known each other now for two years, almost two or three, uh, I was adamantly against investing in real estate. I think it was one of the first conversations we might’ve had a probably think so. Yeah. Um, yeah, I, I don’t, uh, I don’t know the exact answer that I like creativity of a business and creative creativity of, of kind of negotiating and um, and figuring out how to do something and I know, you know, I’m all about kind of the creative financing side of real estate and trying to make things work with, with little to no cash and all this kind of stuff. 02:45 But if you look at it, the returns that you can get are pretty substantial and you can get an asset paid for by somebody else. Yeah. So it, it just works out. So what’s your current portfolio look like? Where do you currently have? So we got a commercial space. It’s not actually a building that I own. Um, but it’s still considered, I guess, part of real estate in a sense, right. It’s 25 commercial units, individual offices that we rent out to businesses in the Dartmouth area, in Halifax area I guess. Um, I have a two unit residential building, a bunch of lands now and um, we haven’t planned. Yes, we can get into that. Uh, we had a triplex but it actually, uh, caught on fire and burned to the ground. Yeah, that was horrible. So yeah, everybody got out, which is the most important part. 03:35 But um, yeah, I know you got a question about that was learned learning. We get into that definitely. Um, awesome. Yeah. So you’re all over the place. It’s multiple streams of different types of real estate, which is why you’re so interesting. You don’t just focus on like one type of sandwich, you have a lot of different things going on. Like the commercial space, you have residential, multi units in land. Yeah. And I mean the land super longterm, like, I mean it’s super boring, but um, my kind of investment philosophy is that it doesn’t really need to be kind of a niche for me. It just has to make sense, make money, and not carry a lot of risks with it. Right. I mean, in, in my four pillars, business risk is a big component of, of everything that I do. Right. And so some very risk conscious, the last thing I want to do is get into a property that’s purely based on speculation or period of based on, Oh, you know what ifs. 04:26 So that’s kind of what I’m looking for and that’s why I go towards everything I was, I was on viewpoint the other day looking at cottages, looking at Airbnb type style things, anything, anything that could make money make sense and I can be creative and doing it on more than happy to do so. What are your current investment goals? Uh, so I don’t have a, like everything’s longterm for me. I don’t, I don’t need the cash to capital right now, right. Even though I do want every single property, I owned two immediately cashflow. Um, so I’m just looking about monthly cash flow. Yeah, you got it right. Monthly cashflow, first appreciation, second asset, paydown third, right at the end of the day. In the way I’m leveraging the properties, it doesn’t matter, they could stay finance the entire, the whole time I own them and as long as they’re cash flowing, it’s fine. 05:12 Right? Yeah. Um, so I’m really only looking to accumulate like one property, maybe every one or two years because that’s all I really need because every property that I’m looking to obtain, I want to make about five to $10,000 a year. Right. Um, so you know, you do that over 10 years and you start to develop quite a bit of passive income. I knew you hire property managers, right? You don’t manage yourself. No. You’re completely hands off. You’re just looking for investment with the exception of the duplex now. And I know we’ve talked about that one in the past. I actually moved into it. And so to manage one tenant upstairs. Well that makes sense because you’re renting. Yeah, that’s right. And lessons learned, right? To property managers, you’ve got to make sure you pick the right one and make sure they’ve got experience. Because I’ve probably spent more time on my two units than I have on my 25 other tenants in my commercial space, uh, spent more money on them. 06:01 So a lot of lessons there. 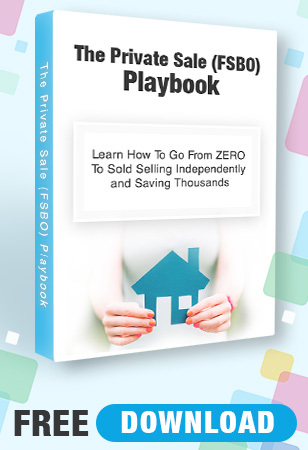 One hundred percent investment goals, a longterm one property every one or two years. Um, I want to put as little cash as possible into every single deal I do to get the cash on cash return to be as high as possible because that’s the metric that I’m aiming for. Okay, cool. So you’re not really looking for anything specific, you just, if it cash flows, if it’s a rental fee, cash flows make sense? And I can put little to no money down and interesting. Some people just have their little niche and they do it. Like the Airbnbs are like longterm student rentals. They just have their thing they do, but you’re just all over the place. Yeah. And, and, and that’s why I’m only aiming for one property every like one or two years because the reality is I probably put in either looked at or actually putting physical offers on maybe 50 properties. 06:52 Right. But so far only two have actually come out, but that’s all you really need to actually find something that works. Right. Um, and so I don’t, I don’t, it doesn’t matter to me if, if I don’t get a property one year because the next year I’ll find something where I might only have to put, you know, pay the lawyer and then I’m into a property and they get a, you know, a private lender to finance the fix ups and then refinance and all of a sudden I’ve got this property that I paid literally nothing for. Right. And so that’s what we did with the dry plex. Didn’t cost me a penny, right? Nothing at all. The closing costs. That’s it. That’s awesome. Let’s get into the lessons learned on this. Helps some people, uh, what’s some of your biggest takeaways? If you’re starting in real estate right now, starting to the vesting game, what would you tell a younger? 07:37 Yeah. So the younger David. So the biggest thing is don’t be shy about putting an offers, but on cost they don’t cost a single penny to do a. and it’s really tough to do due diligence until you can actually get your building under contract, um, unless you. Well, because if you don’t, you’re risking somebody else coming up and doing what I’m recommending you do right now. Right? Um, yeah. I don’t know how many times I’ve put offers in and something didn’t work out and you just walk away. No big deal. It’s, it’s better to walk away from a deal than it is to try to make the deal work, if that makes sense. Right. Um, so that’s, yeah, that’s, that’s the biggest thing. And don’t be afraid to ask, um, for terms, right? Like, I mean, you know, you helped me by the conditions. Conditions. 09:15 when I, I have listened to podcasts in the past. I kind of turned me on to the idea of, of real estate and talking to guys like you that got quite hefty portfolios already. But in terms of learning the process that we use to make sure that we limit our risk and don’t spend a whole bunch of money on nothing was just kind of doing it. Asking around my business partners are mortgage brokers from climate financing perspective. There’s a ton of, of, of lessons there that he knows. Um, so yeah, whenever we need anything it’s, it’s, we’ve either already done it or we learn about it. Even if that means putting an offer on a property just to learn about what we need to learn about knowing that we might not be able to do it. You’re learning it and then for the next time it makes a lot of sense. Right? So put offers. No, what you want, like conditions wise. Is there anything else? Oh man, I got a ton. 10:08 That’s why you’re here. I wrote a whole list. You got it. Insurance Insurance is absolutely critical. Um, so I mentioned that I had to drive to flex that burned down. We chose not to rebuild the property. I’m just because it would have cost, you know, the building would’ve been worth maybe $200,000, but after we’re for the area it way overload for the area, right. So we opted to take the cash surrender value, but had I chose to rebuild the triplex, we would’ve been out of pocket 20 to 30 grand because bylaws and code changes from the date that the building was built to now had changed so significantly. Um, had I known this in the past, I would have paid an extra maybe 200 bucks a year for the upgraded coverage that would have covered bylaw changes. Oh, I said so the cheapest insurance isn’t always the best option because you’re, you, you’re really giving up a lot of coverage. 10:54 So make sure that you’re accounting for these things. Right. And I never thought in a million years that I have an insurance, it’s still important to. I just went through it with our properties. Like it’s, it’s so hard to know there’s so many options and things like that. Like any tips on picking insurance, like you don’t just want to pick all the, like the most highest package because it’s kind of throwing money away if you don’t need it. Yeah, for sure. Um, it’s, it’s really tough because I only learned about this when, when I had a fire burned down the house. Right. And so I would have never known I would have kept going for the cheapest insurance the entire time. So it’s kind of one of those things that you only learn after you’ve already made the mistake, right? Um, so it’s just like a bylaw add on like, yeah, that that’s all just because literally they would have had to build the house a foot longer than the house was previously done because the slope of the steps and I would have to pay for that entire extra foot of the whole house. 11:44 Now that’s one example. Now you air exchangers because that’s apparently code now and they didn’t have those in the past. So I mean like there was a whole bunch of stuff that, that added up to about 20, 25 grand and that was before we actually got an official estimate because by that point I just said don’t even worry about it. I’m just gonna take the cash surrender value of the policy and it’s good to know you. Yeah, for sure. Second, next one is don’t rush into actually buying the property. Like I already mentioned it. Don’t make the property try to work, but at the same time, don’t be scared to put an offers, right. Um, I was listening to a podcast one time and then, uh, I, I forget the name, I really should remember it, but um, but he mentioned that, you know, try to do as many of the things that you can do for free, right? 12:24 Putting in an offer doesn’t cost you anything during the due diligence, doesn’t cost you anything. Talking to a realtor doesn’t cost you anything. Talking to a mortgage broker doesn’t talk, doesn’t cost you anything. In fact, a lot of services that cost you money, like lawyers and accountants and all this kind of stuff. If they love their job enough, they’re going to give you a bunch of free information and obviously don’t use and abuse them, but people are more than happy to talk about their specific field and um, you know, when they’re passionate, you’ll be able to get a whole bunch of information. I’m just learning, right? I always try to get a real long condition phase just to do the due diligence, like to know if it’s the right property. I mean, it’s Kinda like what you’re talking about a like don’t just buy it to figure things out like, yeah, 100 percent. 13:02 Right. Because I mean if you, I think it was you that told me this, you don’t make money after the fact you make money on how much you buy the property for. Right? It’s, it’s, it’s going to be, you know, the first month I guess, of, of going through, you know, looking at it, going through the condition phases, inspecting it, making sure that you’re buying it for the right price and making sure that you’re not getting into a deal that, that will end up not working. Right. Um, you know, in my line of work, I, I see people all the time that have rental properties and they’ll be saying, you know, all my mortgage is 900 bucks a month, I’m renting it out for $1,100 and I’m going, you know, like when you start counting and vacancies and maintenance and insurance and all the, if you’re not managing yourself, you start adding all these fees, you’re actually taking a loss. 13:45 Right. Um, and, and just going in for appreciation isn’t, in my opinion at least, uh, the right way to play the real estate game, at least not here in the maritimes. Yeah, for sure. So, yeah. But yeah, my only last thing that I have written down here is that financing is the most difficult part of a deal, especially when you’re trying to do a kind of low to no money down type style investing, especially when you’re self employed and we need to get creative. Yeah. Right now a lot of people, not a lot of mortgage brokers and banks like that. Yeah. You, you really kind of got to build a team of, of people that you work with, that you trust, that understand what you’re trying to do. I mean, you know, if you’ve got all the money in the world to go put, you know, 20, 35 percent down, uh, you know, not that big of a deal, but then you can, you got to think, you know, if you can try to buy deals at five, 10 or even no money down, how you can, you know, magnify your, your, your, your, your earnings. 14:39 Right now of course leverage is a whole different topic. But, uh, yeah, just be careful. Just be careful that you’re, you’re, you’re doing things the right way and don’t just take the first word of the first person you talked to me. Um, yeah. Awesome. Well those are great points for people out there. I’m getting into real estate a going into four pillars. Let’s talk about that yet. So here in your, just in Nova Scotia or. Yeah, so, so, so my particular area of focus is Nova Scotia, but I also manage a new Brunswick and Pei as well. Okay, awesome. So what is four pillars? Yeah, so essentially what formulas is where debt restructuring company and so we assist people that are struggling financially, um, that may be considering bankruptcy’s a or other forms of, of restructuring to really make sure that they get the best outcome possible. 15:27 Um, so really our value is that the only person that we work for is the actual consumer. Um, so yeah, it’s uh, it’s, it’s, it’s quite a deal. Yeah, exactly. Helping people get out of debt, get a handle of their finances and making sure that they’re not getting taken advantage of by the system because, you know, if you look at the insolvency system, 25 percent of people that file either a consumer proposal or bankruptcy, um, ended up actually reoffending right now. That statistic is his average because I think the last official stats came out I think 20, 15 or 2014. Um, but it’s, it’s, it’s quite an amazing statistic to, to, to, to know that, you know, you’re trying to solve your situation and you have a high chance of failure, right? So what we’ve been able to do is, is our success rates 97 percent, so less than three percent of our clients end up going back and kind of re offending if you want to call. 16:19 That’s awesome. Yeah. So how do you juggle four pillars with the real estate investing? Yeah. So four pillars is always my priority and kind of the real estate is kind of the secondary now when I can passive income in. Yeah. And, and, and you know, when I, when I get into the hunt of a deal and when I started doing everything, you know, that kind of sways a little bit, right? Yeah, for sure. But it really, it really shouldn’t. Um, so yeah, I, when you have people you trust, you can get things done without actually spending the time and effort doing it. Right. Um, the triplex never saw it until I bought it. Right? Um, I think the duplex, I think you were there for all the inspections, right? Um, and I was working on four pillars and doing that help people that way. But um, the real estate side still had to get done. 17:07 Right. Well David, that’s awesome. Thank you so much for coming on and I wanted to get you on because you have such unique portfolio and what you’re doing and you’re invested in mind and uh, yeah, I’m sure people have questions. They’ll reach out to us and you can get them answered or try to answer them as well. Definitely. When people want more information on four pillars, where should they go for pillars.ca. Unreal. Thank you so much David. Awesome. Thank you guys. That was David Moffat. Uh, just a great conversation about investing, uh, you know, a young guy going, getting some different properties, uh, building up some wealth. If you want to check out some more info about investing, check out our blog at air realty dot, ca. And you can always contact me at info at info@airrealty.ca. See you next time.